The planetary scientists at the Royal Observatory of Belgium (ROB) have signed a contract between the European Space Agency’s PRODEX (PROgramme for the Development of scientific Experiments) program and Antwerp Space for the delivery of LaRa (Lander Radioscience), a ‘martian’ instrument onboard ExoMars 2020. LaRa will be the first Belgian instrument to be landed on the surface of Mars. Its radio transmitter and receiver will link Mars and Earth, enabling scientists at the Royal Observatory to study the rotation of Mars as well as its internal structure, with particular focus on its core. LaRa will be part of the platform of ExoMars 2020, a joint mission by the ESA and Roscosmos, Russia’s state space corporation. The LaRa instrument comprises three antennas — as seen on the right side of the artist's impression – connected to a casing that houses the instrument’s electronics – on the left side. The two smaller antennas are used for sending radio signals from Mars to the Earth while the larger antenna’s function is to receive radio signals going in the opposite direction, from the Earth to Mars. Illustration is courtesy of Antwerp Space. A team at Université catholique de Louvain (UCL) is also involved in the project, in particular on the design of the high-performance antennas of the instrument. Belgium and the Belgian Science Policy (BELSPO) fund the development and the manufacturing of LaRa through the ESA PRODEX program. Véronique Dehant, Principal Investigator of the instrument, said this is a major milestone after more than a decade of effort by the research team involved with LaRa. This is the last step before manufacturing and testing the LaRa flight model. 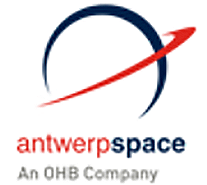 Koen Puimège, Antwerp Space’s Managing Director, added that Antwerp Space honored to manufacture this high-technology scientific instrument to be operated on the surface of Mars. It is also a recognition of the high technical competence of the firm's teams involved in this wonderful adventure”.